Reliance Staffing and Recruiting is working with a client in Hampton who has an immediate need for Floor Technicians. This person will be responsible for maintaining the floors of multiple professional buildings. This is to include stripping, waxing, buffing and polishing the floors. This position also requires heavy lifting. This position is a second shift from 2pm-11pm. 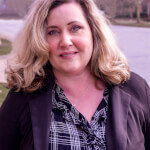 Heather Nelson is a Placement Specialist specializing in hospitality, industrial and administrative support. In addition to her bachelor’s degree in business, Heather’s superb attention to detail allows her to work closely and efficiently with both clients and employees. Heather is a team-oriented professional who puts her vast business, communication, and public relations skills to use on a daily basis. A candidate had this to say about Reliance Staff for our last survey: "Reliance staffing got me a job on such short notice and placed me with an amazing company."